What’s the big deal with the organ these days? It’s big, bulky and often associated with boring church music or, worse, funeral homes. That’s not the full story, according to organist Paul Jacobs, the first and only person to win a Grammy for his organ-playing. He’s trying to change the organ’s perception by teaming up with local favorite, famed soprano Christine Brewer for a new CD and tour. Brewer and Jacobs’ recent album, “Divine Redeemer,” features the music of Johann Sebastian Bach, Charles Gounod, Cesar Franck, among others. Now, they’re bringing their music to Brewer’s hometown, in the Cathedral Basilica of Saint Louis. 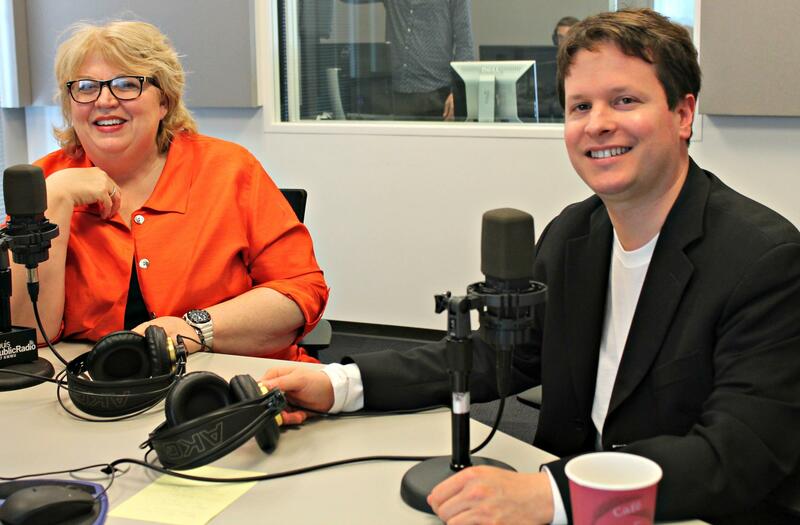 Listen to Brewer and Jacobs discuss how they started with their respective instruments. The two recorded their album at Church of the Gesu in Milwaukee, and will be performing the same repertoire at each stop on their tour. They are, however, adding a couple of selections not on the recording for their performances. “Each room, each instrument is different,” Brewer said, explaining that Jacobs goes early to each stop on the tour and registers the organ before they join up and recalibrate their performance together. When: Wednesday, Oct. 14 at 8:00 p.m.
A group of performers from the Hindu Temple of St. Louis joined Batya Abramson-Goldstein, the executive director of the Jewish Community Relations Council, on “Cityscape” this Friday as part of preparations for this Sunday’s fifth annual Arts and Faith interfaith concert at the Sheldon, which promotes peace and unity in the region and around the world. We had the pleasure to hear (and mic up!) nine of the Hindu Temple Choir performers live on air. The choir usually performs at full capacity with 18 members. Soprano Christine Brewer has joined such other St. Louis greats as Chuck Berry, William Burroughs and Kate Chopin on the St. Louis Walk of Fame. 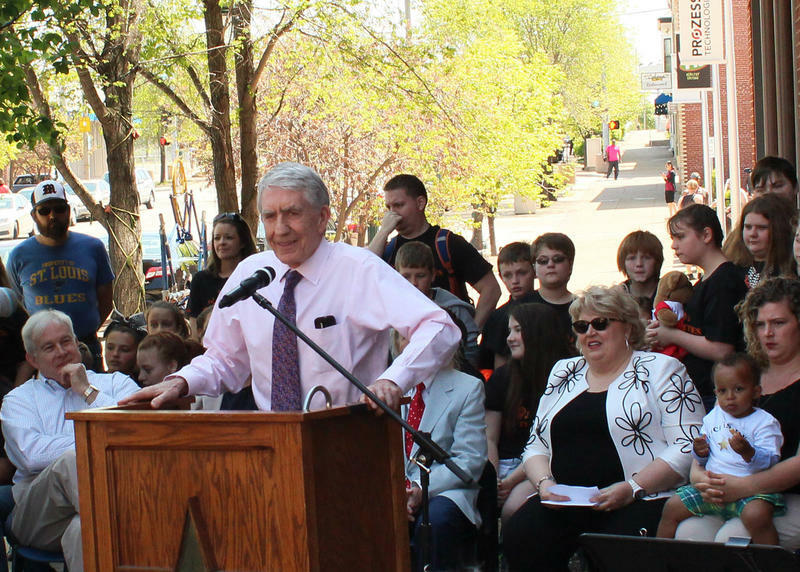 At the ceremony, she said Opera Theatre of St. Louis and the city contributed greatly to her success. 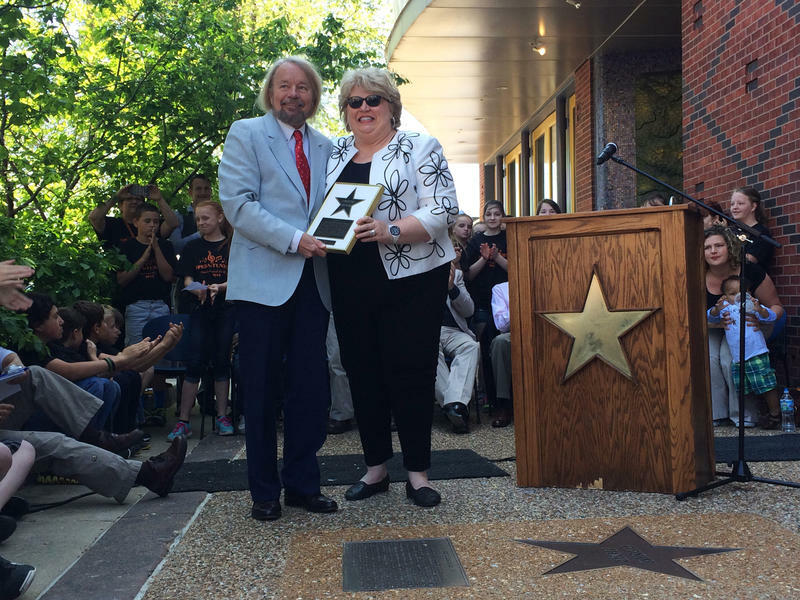 On Wednesday, Christine Brewer was properly awarded a star on St. Louis' Walk of Fame in the Delmar Loop. To think about her journey there, it is useful to go back 34 years, when Opera Theatre of St. Louis had become the regional American opera company to watch. And that dates to 1976, when Richard Gaddes, a fearless young British impresario, was brought to town to establish the company.